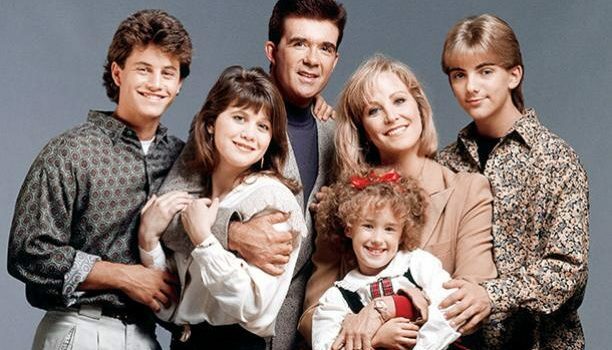 Beloved TV dad Alan Thicke from Growing Pains has passed away. Star of many beloved TV sitcoms, most notably as one of classic television’s most popular dads, Alan Thicke has died at the age of 69. TMZ is reporting that Thicke had a heart attack while playing hockey with his son. “Alan played hockey regularly at a rink in Burbank. We’re told he and Carter were on the ice around 11 AM when he started having chest pain, then got nauseous and vomited. The ambulance picked him up around 11:30 and took him to the hospital,” the TMZ article read. It was as Jason Seaver on Growing Pains that Thicke had his most popularity, but he was also famous for composing some classic TV theme songs including the opening tunes for Diff’rent Strokes and The Facts of Life. Most recently in addition to his Pop TV series Unusually Thicke, the actor had made high-profile guest roles on Fuller House and This Is Us. Some of his work might not be as well-remembered but it was just as good: His role as a vain talk show host on Hope & Gloria was a standout, particularly in an episode that guest starred “the real Alan Thicke.” Many might not remember that his career actually rose to prominence with a not-so-successful talk show called Thicke of the Night. Alan Thicke’s final Tweet was about Fuller House; the one before it, about the Whistler Film Fest, came with a promise that we know he’ll be able to keep: “I promise to try and stay iconic,” it read. Thicke is survived by three sons, a wife, a gaggle of Seavers, and millions of fans.